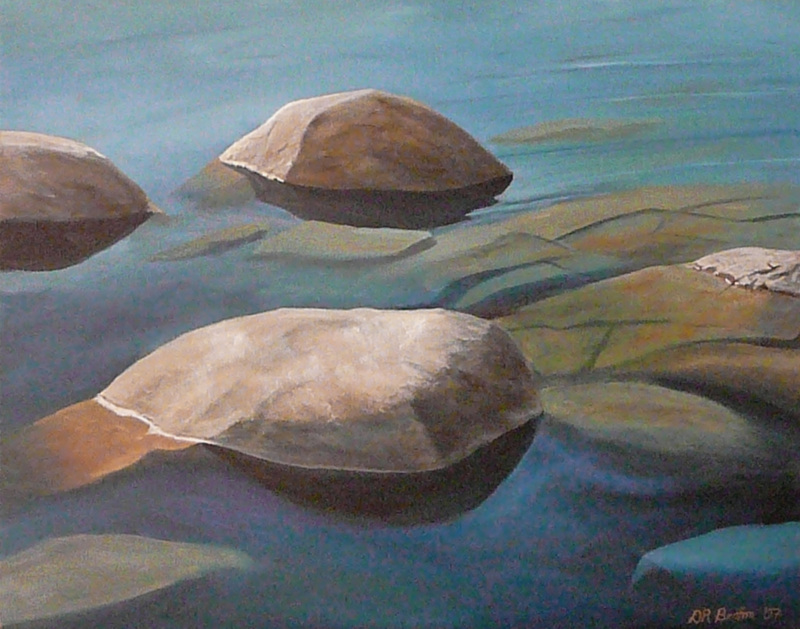 Don Britton works includes “Tahoe Blue,” part of Artist Eye’s latest exhibit. Donald R. Britton is the featured artist this month at Artist Eye Gallery, 1294 S. Coast Highway, which will host a 6-9 p.m. reception for him during Art Walk, Thursday, May 7. Britton, an award-winning artist also holds a Ph.D in neuroscience and had a lengthy career as a researcher while maintaining his interest in painting. He makes representational oil paintings of the American West. “For all the Red Reasons,” part of the Avran exhibition. will be on display from 6-9 p.m. on Saturday, May 23, at Avran Art and Design, 540 S. Coast Highway. Works in the solo exhibition are painted using a wash of iron oxide over incorporated found objects, creating a texture that encourages viewers to physically touch the paint. Moore believes that his paintings become greater as the shiny patina from the oils on the fingers grows on the surface of the work. 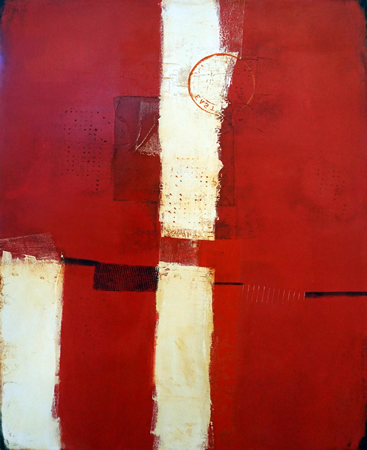 Photo: “For all the Red Reasons,” part of the Avran exhibition. Richardson’s “Sunshine,” included in the gallery show. 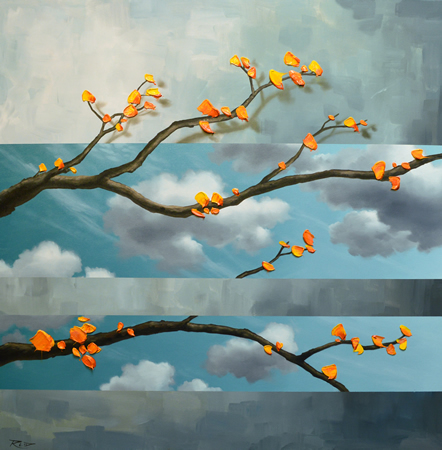 “Art In The Clouds,” surrealist paintings featuring Reid Richardson’s two favorite subjects, trees and clouds, will open during Art Walk from 6-9 p.m. on Thursday, May 7, at The signature Gallery, 220 Forest Ave.
Richardson, who will be painting in the gallery, says his work reflects the symbolism sheltered by trees. All Orange County students of art, from high school through college and beyond, are invited to submit work to Gallery Q at the Susi Q Center from 3-5 p.m. on Wednesday, May 13 or between noon and 2 p.m. on Thursday, May 14. Visit susiq.org or the Susi Q front desk, 380 Third St. for guidelines and an application form. Registration fee waived with valid student ID. A free artists’ reception with beverages and light refreshments will take place from 4:30 to 6 p.m. on Friday, May 29. Laguna Presbyterian Church, 415 Forest Ave., invites art walkers to visit their parlor from 6-9 p.m. on Thursday, May 7, for a look at its collection of works by artists past and present. Works displayed by artists and photographers will be for sale.